Bring back the original forest structure to repair the land. Rediscovering the Country aims to strengthen community support for the improved management of rural lands by increasing awareness within rural and urban communities of how revegetation and integration of biologically rich and commercially valuable plantings into farming operations can help tackle land management problems and contribute to rural communities. The 33 minute film journeys from southern Australia to Sri Lanka. In southern Australia, the film looks at several major community-led revegetation projects. In Sri Lanka, it shows how community activism has on a large scale modified traditional village gardens to mimic the original native forest structure, in the process restoring biodiversity and wildlife habitat, as well as producing food, natural resources and an economic income for local people. In all these projects, connecting people across landscapes and restoring the original forest structure act as the cornerstones for achieving landscape restoration success. This is why the film is titled Rediscovering the Country. Ballarat Region Treegrowers has long sought to encourage a culture of custodianship and repair towards Australia’s land. We believe bringing back the original forest structure can achieve a wide range of benefits from repairing the land and creating wildlife habitat to providing an income for landowners, such as through wood or agricultural production. end dependent on the health of our landscapes whether for food or for pleasure. The film was launched to a crowd of over 150 on Friday 20 June, 2014, at the Melbourne Museum and then regionally in Ballarat on Friday 4 July. Panel at film's Ballarat launch in July 2014. "What a great film! ‘Rediscovering the Country’ shows what community-based environmental film-making is all about. It is inspiring to see how ordinary citizens in different parts of the globe share a common vision for repairing damaged land, and are organising themselves to create more sustainable and environmentally-valuable landscapes from which they can also make a living. There are lessons here for governments and agribusiness right around the world." 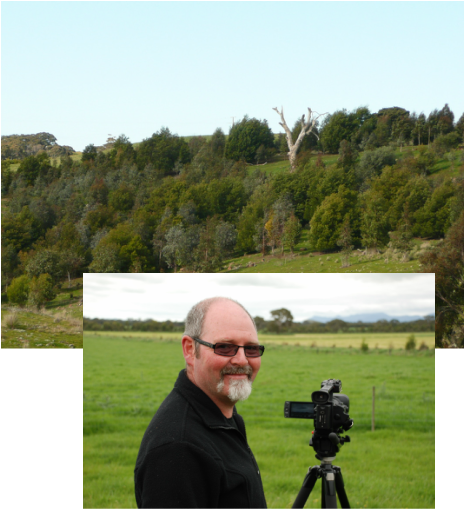 The BRT film crew for Rediscovering the Country consisted of filmmaker Stephen Oakes from She Oaks Films and producer Ian Penna, the former Secretary of Ballarat Region Treegrowers. They were assisted in Sri Lanka by the Neosynthesis Research Centre, which helps communities establish what they describe as regenerative agriculture. She Oaks films also made a video about the ImLal biorich plantation titled Recreating the Country – the link to view this is in For Further Information on the home page.